Ibis budget Jakarta Cikini is located in the city centre, next to the Taman Ismail Marzuki cultural arts centre and close to the Jakarta Central Business District, Golden Triangle area, Gambir Train Station and Indonesia University. The 150 rooms feature the new ibis bedding with a choice of either one queen bed or a queen and a single. 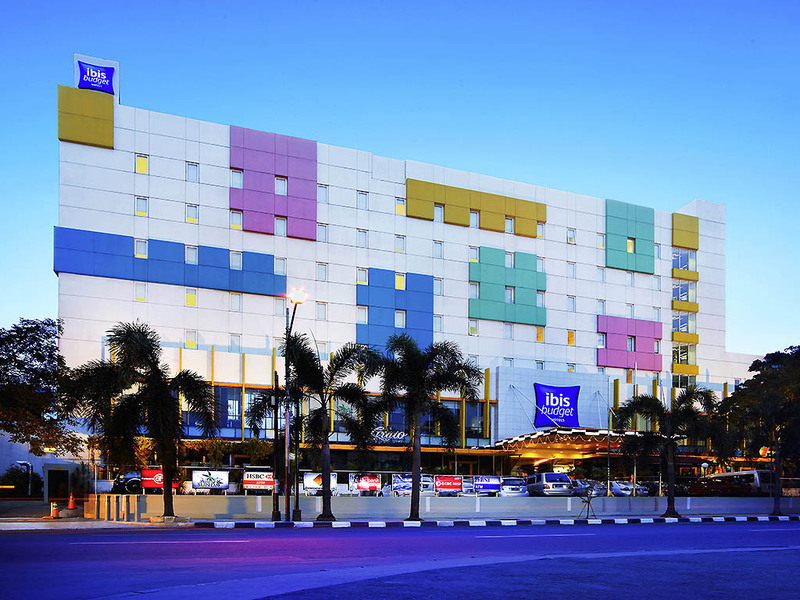 Ibis budget Jakarta Cikini offers great value accommodation in a colorful and contemporary style. The room is okey, clean and good services. Disappointed with the facilities. Sheets are so old and so thin should be replaced already. They are grey already mimicking the ones in cheap motels. The headboard lights were not working and the staff did not come after it was reported. The trash bins are wet rustry and dirty. No cups jo heaters and the waterdispenser oitside frequently empty. The breakfast was worse than a street food menu. This is my worst stay in a hotel. The budget label is no excuse. There are better hotels in its price range. it's comfortable, it's in a strategic location, the room is clean, over all it's good. The room was clean and neat, but i guess if there was a cabinet will be better. A small refrigerator would be okay too. Toilets were not very clean including the bath area. Breakfast was an utter disappointment both in terms of quality and variety. Otherwise, all over it was a very satisfactory experience. It was fine to stay at your buds get hotel with a suitable prices, particularly its building complex, such as some restaurants, a huge swimming pool at the backyard, accessible to the convenience store next to the hotel. Nevertheless, the water dispenser provided at the corridor is not hot sufficient for my instant papered tin noddle, thus, I decided to go down to get a hot water for my instant middle after permission allowed by a casier. I like the room where I stayed in because I could see Jakarta from above and it was beautiful. This is my 1st experience with Ibis hotel. There are a number of eatery outlet surrounding. Quite happy to know the hotel provided mineral drinking water along the alleyway. Quite comfortable stay, value for money. Restaurant, cafe, minimart, swimmingpool... Its good for a budget hotel and clean hotel.